Would you describe most of your sales as being at the top-end of the market, budget conscious or somewhere in between? 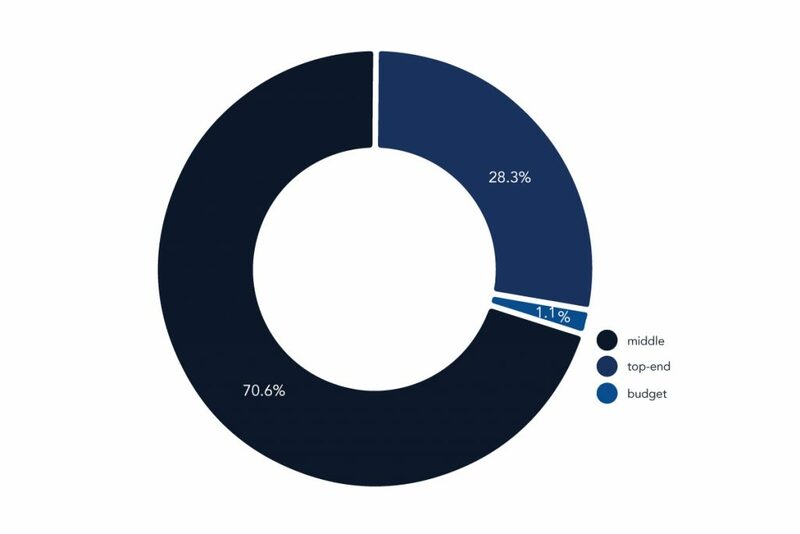 For the wet leisure businesses responding to this year’s survey, the budget sector of the market has shrunk to a tiny 1%. Obviously all those ‘cheap Chinese hot tubs’ are getting sold somewhere but not, it seems, by us. The middle sector of the market has grown again, up almost 30% on last year to over 70% as reported in this year’s responses. A strong middle sector in any market is a sign of strength. The middle sector offers businesses a chance to make reasonable margins on a good volume of sales. Not surprisingly, the top-end of the market shows a higher number of pool installations than the survey average and of those, a significantly higher number are indoor pools. Social media consolidates its position of the most important marketing channel for wet leisure businesses after their website. With 63% of businesses who responded to the survey using social media to promote their business and attract customers that is an increase over last year’s survey of just over 10%. 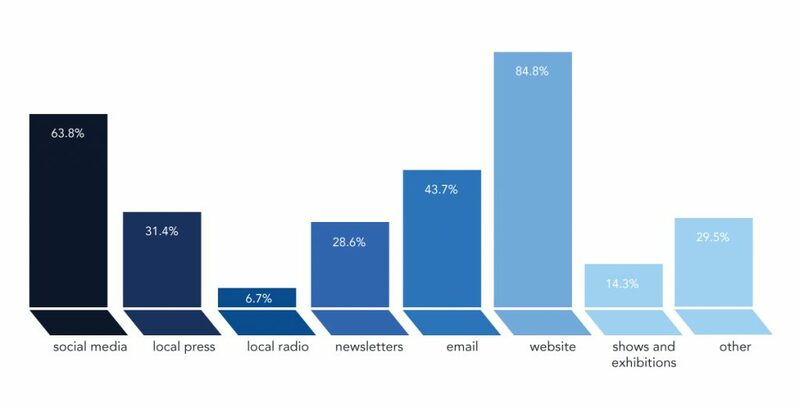 At 31% local press shows no change from last year but local radio shows a slight increase in use perhaps due to the continued growth in local, digital stations. Newsletters and e-mails maintain their importance and we included Shows and Exhibitions as a separate category for the first time this year. Which of these trends are your customers following? From our survey, it seems that the demand for energy saving products and products to improve existing installations, such as the refurbishment of pools, are on the increase. It seems likely that these two are linked in many instances with people using the opportunity of a pool refurbishment to introduce modern technology that lowers their energy bill. LED lighting, heat pumps and more efficient pool pumps and filtration methods would all fall into this category. The demand for top-end, luxury products is consistent with last year’s survey as is the number of people looking for Eco-friendly products. Of course, products that help save energy are also very often Eco-friendly so perhaps it is just terminology that separates these two categories. We then went on to look at the three distinct main product categories of our business; spas, pools and sauna.